We provide Risperdal mass tort leads from claimants who have been prescribed Risperdal (Risperidone), and have witnessed male breast tissue enlargement (gynocemastia) that may have caused harm, including a mastectomie (breast tissue removal). There are two types of marketing methods here: online and television. Our exclusive online Risperdal Leads are unique to your firm and are delivered to your email in real-time, which is milliseconds after the claimant submits the information. The second lead generation source is from production-ready television commercials. Specifically, it is a pay-per-call program. Here, claimants call your office from one of our proven commercials, and are required to pass the same filters in order to be considered a qualified lead. If you would like to see sample leads or have questions, please let me know. What is Risperdal and Invega? Risperdal (risperidone) and Invega (paliperidone) are second-generation antipsychotic drugs prescribed to treat behavioral disorders linked to bipolar disorder, schizophrenia and autism. Risperdal is effectuated by lowering serotonin, dopamine, and norepinephrine levels in the human brain. Both medications have been prescribed “off-label” for anxiety, depression, sleep disorders, and attention deficit hyperactivity (ADHD). Although Risperdal has been proven effective for many patients, it has come under scrutiny due to the unfortunate risk ofincurring serious side effects.The medication was initially approved by the FDA in 1993, and has been made by Janssen Pharmaceuticals, a subsidiary of Johnson & Johnson. The FDA has expanded the original approved uses of both drugs. The most common side effect that has reported the highest number of complications is gynecomastia, which is the growth of female breast tissue due to increased prolactin levels. Prolactin is a protein in the body that produces breast tissue. When the drug generates this protein, it can cause psychological problems in young men, and require surgery to correct. Galactorrhea is another serious side effect that generates complications among women. This is the premature growth of breast milk, including when the female’s age is below child-bearing age. Although approved in the U.S. in 1993, sales peaked in 2007 when J&J generated $4.5 billion in sales, largely (if not entirely) from Risperdal. Reported revenue for Invega topped $424 million in 2010, according to J&J. Although there are an increasing number of claims attacking Risperdal for its negative complications, over 3.5 million children diagnosed with ADHD take the drug and others like it. Many say that clinical evidence underlying the efficacy is lacking. In fact, some wonder whether ADHD is either misdiagnosed or over-diagnosed. According to a Michigan State University study, up to 1 million kids could be misdiagnosed with the behavioral disorder because they are the youngest within their classrooms. Risperdal has been attacked from the company’s marketing of the drug for off-label uses during the 1990s and 2000s. Significantly, Risperdal has been recalled twice, while Invega has seen one recall. Manufacturing and packing issues has been the culprit in all recalls. Yet, reports from Bloomberg indicate that Johnson & Johnson generated worldwide sales between 2003 and 2010 around $24 billion for Risperdal. Below is a timeline of notable dates regarding Risperdal and Invega. 1993: Risperdal gains its first approval from FDA to treat adult related schizophrenia. 1996: Risperdal prescribed over 1 million times by physicians, including for off-label use. 2002: Janssen warns the Canadian medical community about risks associated with the treatment of elderly dementia. The company failed to alert U.S. physicians. The drug was determined to be to blame for adverse events, including a minimum 37 cases linked to strokes and 16 fatalities. April 11, 2005: The FDA announces the medication will require a black box warning for physicians and patients, stating that elderly people with dementia could see a heighted risk of death. October 6, 2006: Risperdal gains FDA approval for treating irritability linked to children and adolescents with autism. 2010: First lawsuit filed by 21-year-old male who suffered breast growth (gynecomastia) and subsequent emotional trauma. The case was settled on the day of the trial for undisclosed amount. February, 2011: Invega recall announced, based upon approximately 70,000 syringes potentially being cracked, which could cause infections and lowered efficacy. April 2012:Arkansas jury finds J&J liable for $1.2 million for minimizing or concealing the negative effects of the medication related to almost 240,000 state Medicaid violations, and $11 million for state deceptive practice violations. The decision was reversed due to incorrect application of state health care facilities laws. June 2013: Johnson & Johnson announces recall for one lot of Risperdal Consta effecting wholesalers, distributors, pharmacies, and healthcare providers. The recall was based upon detection of mold during standard testing. Risperdal Consta is an injectable and long-lasting version. November 4, 2013: J&J agrees to pay $2.2 billion settlement “to resolve criminal and civil liability arising from allegations relating to the prescription drugs Risperdal, Invega and Natrecor, including promotion for uses not approved as safe and effective by the Food and Drug Administration (FDA) and payment of kickbacks to physicians and to the nation’s largest long-term care pharmacy provider.” This was the largest settlement of healthcare fraud of its type. Director of the FDA’s Office of Criminal Investigations, John Roth, stated, “When pharmaceutical companies interfere with the FDA’s mission of ensuring that drugs are safe and effective for the American public, they undermine the doctor-patient relationship and put the health and safety of patients at risk.” Associate Attorney General Tony West stated, “When companies put profit over patients’ health and misuse taxpayer dollars, we demand accountability.”The manufacturers continue to face thousands of civil lawsuits from patients at this time. Significantly, there are a number of state-based claims aimed at the makers as well. In 2012, J&J settled lawsuits with the District of Columbia and 36 more states due to improper marketing towards children. This resulted in a $181 million fine. Other states also pursued settlements, including $158 million in Texas, $258 million in Louisiana(reversed), and $327 million in South Carolina (reduced). October 2012: Johnson & Johnson settles 5 more cases after settling the first filed case against the company is settled the day of trial. November 2013: J&J reneges on 77 plaintiff settlements prior to finalizing the terms. February 2015: First trial concludes with $2.5 award for male plaintiff, who ingested the medication on an off-label basis for autism, starting as an eight-year-old. While a teenager, plaintiff developed size 46 DD breasts. In the trial, the FDA claimed that J&J failed to warn about the side effects suffered. March 2015: First trial against Janssen Pharmaceuticals that finds in favor of defendant pharmaceutical manufacturer due to lack of direct link between the drug and male breast growth. November 2015: J&J loses to plaintiff, who was awarded $1.75 million due to mental anguish and disfigurement while taking the drug beginning at nine-years-old. Notably, he maintained administration of the drug even after the addition of warnings on the label. Plaintiff argued that the maker knew since 2001 of the negative breast growth side effects. December 2015: Plaintiff awarded $500,000 due to negligence and failure to warn about Risperdal’s association to male breast tissue growth. January 2016: Tennessee plaintiff awarded $70 million for failure to warn. See Y. v. Janssen Pharm., Inc., Pa. Ct. Com. Pl., No. 130402094, verdict 7/1/16. This was the fifth jury to find against the pharmaceutical company Johnson & Johnson for this claim type. 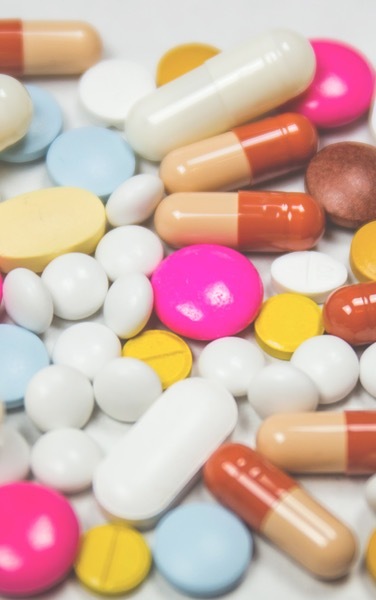 Lawsuits that are initiated against drug manufactures typically lie in product liability, negligence, and failure to warn claims. These are more complicated, and require the help from an experienced mass torts attorney. Generally, medical records and documentation of the dosage amounts, side effects, medical bills, corrective surgeries, photographs and other related and relevant documentation are used to back up the claims. These claims are based upon a specific factual inquiry, and differ among patient-claimants. J&J agreed to settle for $2.2 billion in November 2013 for criminal and civil violations from the illegal marketing of Risperdal. The marketing violations included illegal off-label promotion of the drug towards pediatric and elderly patients, including obsessive compulsive disorder, post-traumatic stress disorder, ADHD, depression, and other behavioral disorders. Janssen created written sales materials towards elderly patients underscoring symptoms and de-emphasizing what the drug was approved to treat (schizophrenia). Janssen based its promotion on sales incentives and bonuses to sales representatives for marketing to physicians on an off-label basis. As part of the announcement in 2013 regarding the two pharmaceutical makers’ criminal and civil settlements, the FDA provided additional detail regarding the focus of off-label promotion towards the elderly. J&J made false claims to federal health care programs by hyping Risperdal for non-covered off-label prescription, including false claims and misleading statements regarding the efficacy and safety of Risperdal, as well as “paying kickbacks to physicians” who prescribed the medication. Jannsen was aware that, although it was marketing Risperdal as “uncompromised by safety concerns,” patients using Risperdal had a heightened risk of forming diabetes. Relatedly, there were allegations that Jannsen published documents mentioning Risperdal was linked to a decreased risk of forming diabetes, which was based upon consultants who re-analyzied previous studies suggesting the opposite. Jannsen aggressively promoted Risperdal for the treatment of behavioral disorders through itsElderCare Sales Force, which focused on targeting nursing homes and doctors who treated senior citizens. This was done by pumping Risperdal as having “proven efficacy” and “an excellent safety and tolerability profile” in older patients. Jannsen compensated doctors with fees at speaking engagements in order to influence other doctors to administer Risperdal. Further, sales reps supposedly told doctors that such compensation would occur upon an increase of Risperdal prescriptions. Jannsen was aware that, when marketing to seniors with dementia between 1999 and 2005, it also marketed Risperdal to children with mental behavioral disorders. In particular, the company knew that its drug had inherent dangers such as the stimulation of breast tissue and lactation. This was carried out when sales reps promoted Risperdal as “safe and effective for symptoms of various childhood disorders, such as attention deficit hyperactivity disorder, oppositional defiant disorder, obsessive-compulsive disorder and autism.” During this time, Risperdal did not have FDA approval for prescription to children for any use, and the FDA made repeated warnings about its promotional activities to vulnerable populations.